Check out a review of GSPM Strategic Public Relations Program Director Larry Parnell and GSPM Prof. Janis Teruggi Page's new book, Introduction to Strategic Public Relations: Digital, Global, and Socially Responsible Communication. In their often-cited article from the first edition of the International Journal of Strategic Communication journal, Hallahan, Holtzhausen, van Ruler, Verčič, and Sriramesh (2007) define strategic public relations as “the purposeful use of communication by an organization to fulfill its mission” (p. 3). Like Hallahan et al.’s, hundreds of scholarly articles as well as books and textbooks have been written on the subject, analyzing it from a variety of perspectives, including internationally. Page and Parnell’s book, SAGE Publications first foray into the topic, does manage to stand out from the crowd, by offering interesting, current information with a hands-on approach. Page and Parnell, who both teach at George Washington University (GWU), carry with them years of professional experience in the field, and are still partners in PR consulting firms, bring their know-how and background to a book that is openly meant for an introduction public relations class. Backed by renowned scholars in the field, such as Donald K. Wright and Don W. Stacks, the book is loyal to its subtitle, as it devotes quite a few of its hundreds of pages to discussing how globalization and also technology, including social media, have changed public relations. More than anything, though, the book includes the overarching theme of the “social responsibility” public relations professionals have. Recent GSPM Strategic Public Relations graduate Amber Garnett wrote about how to manage a career while attending graduate school. It's a useful lesson on how to juggle one's time, energy, and passion and how a graduate degree can help take PR professionals to the next level. "When I began working at Stratacomm as an intern in August 2016, I also began my journey in pursuing my master’s degree from George Washington University. Now almost two years later, I am an assistant account executive and completing my master’s in strategic public relations. Communications is not a field that necessarily requires an advanced degree, but I found more than a few ways furthering my education is beneficial to my day-to-day work." Read the full article on the Stratacomm blog. Efforts to explain the world of Washington lobbyists continue, with decidedly mixed results. For those who try to follow the government relations profession, rather than participate in it, part of the difficulty is simply understanding the different tactics lobbyists and their clients employ and how they fit together. Swamp dwellers, according to the Center for Responsive Politics (CRP), the source of the statistics cited by Politico, would seem to include just about anyone who makes a living by exercising their First Amendment right to petition their government — much as journalists at Politico and think tankers at CRP exercise their First Amendment rights. Lobbyists brought in a total of more than $3.2 billion during Trump’s first year in office, Politicoreports. “Many of K Street’s top firms saw revenue rise by double-digit percentages compared with 2016, driven by intense lobbying on Republicans’ failed push to repeal Obamacare and their successful effort to revamp the tax code,” according to Politico. But these earnings aren’t as robust as those of the “boom times of President Obama’s first years in office,” when the stimulus bill, Dodd-Frank and the Affordable Care Act were either passed or being hotly debated. Lobbying revenues, for example, jumped to “nearly $4 billion in 2009, adjusted for inflation,” Politico reports. Grassroots efforts are clearly a growing tactic in the advocacy profession’s ever-expanding toolkit. So, for that matter, is public relations, which is the subject of a study promoted by PR Underground. The number of communications jobs in the nation’s capital has increased 325 percent since 2000, which represents “a major shift in the business of public policy influence in Washington,” according to this research. In 1999, there were more than twice as many lobbyists as PR professionals in Washington, but now the opposite is true. Just since the financial crisis of 2008, new job creation in the PR business has shot up 65 percent. That’s an oversimplification, clearly, and the report is far from conclusive. “Proximity to D.C. has helped Maryland secure the second spot, with a 257 percent increase in PR jobs,” according to the study, although Virginia doesn’t even make the top 10. It’s more evidence that advocacy campaigns are employing a broader range of tactics — lobbying, advertising, grassroots, social media — and it’s more complex than some might think. We’ll keep you posted on other seismic, or mild, shifts in how we advocate. Both nonpartisan and nonpolitical, the Public Affairs Council is the leading association for public affairs professionals worldwide. The Council’s mission is to advance the field of public affairs and to provide its 700 member companies and associations with the executive education and expertise they need to succeed while maintaining the highest ethical standards. Learn more about the Council at pac.org. GSPM online Political Management student Victor Reyes, who works as a lobbyist for The Roosevelt Group in Springfield, Illinois. "Winning the Latino vote may well be the key to Mayor Rahm Emanuel's re-election, but he'll have change some things to actually reel in such support, starting with forming a "personal relationship" with Latino voters. That's the advice for Chicago's CEO as he prepares to announce for a third term, and comes not in the form of a confidential memo from a high-priced outside consultant but a master's thesis written by Victor Reyes, who served as political consiglieri and chief lobbyist to Mayor Richard M. Daley during his tenure. 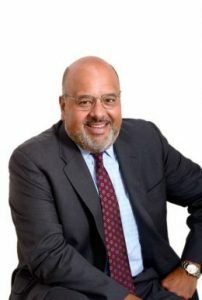 Among his former duties was heading the Daley-allied Hispanic Democratic Organization. 'To win re-election in 2019, Emanuel must establish a supportive coalition that includes a large number of Latinos,' writes Reyes, who's now a lobbyist here and in Springfield but is getting a master's degree in political management from George Washington University in Washington, D.C."
Read the full piece at Crain's Chicago Business. 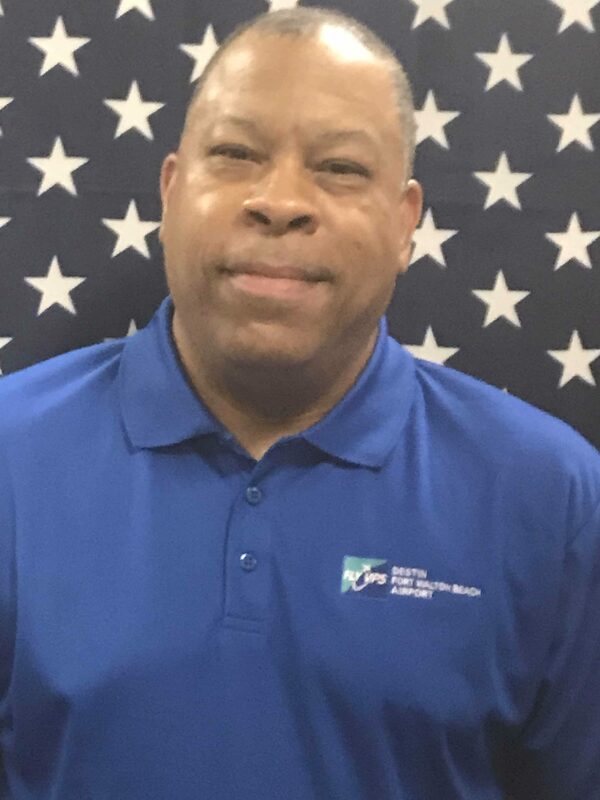 From there, Dixon joined the Air Force as a personal affairs supervisor focusing on casualty assistance. “I notified families of death. It was very intense, but I came to find out that it was a very important job. Not only did you notify the family that a loved one was gone but you also case managed them for a year. You could see them at their worst time… and help them start the healing process,” he said. After 21 years in the military, Dixon went in search of the next way to give back. 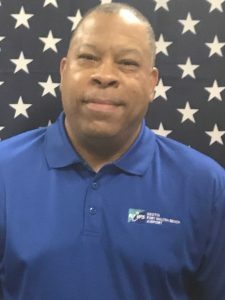 Returning to his home base in Seattle, Washington, Dixon began working with the local homeless population and became a program manager for the Washington State Department of Veteran’s Affairs, running five programs for homeless vets. From there, he looked for ways to get more involved in politics. “I think I’ve always been politically aware. Coming to GW was a breath of fresh air for me because I got to meet a lot of people that felt like I did,” he said. “After orientation I came to the conclusion that I made the right decision.” During his time at GSPM, Dixon worked for Washington Sen. Patty Murray (D) and the Senate Veteran’s Affairs Committee. His résumé–and a GW connection–helped land him the job. “I went to the interview and the lady who interviewed me said ‘When can you start?’ and I said ‘That’s it?’ and she said ‘I gotta be honest with you and I’m also a GW grad. I saw your resume and it was impressive,” he recalled. Later, that same contact suggested he apply for a Presidential Management Fellowship, which he did. After a grueling interview process, he was selected to serve as a fellow in the Department of Housing and Urban Development. Now Dixon is pursuing a Ph.D. in Human Services and Social Work focusing on military families at Walden University and is hoping to impact the next generation of political leaders and public servants. How Are Women Lobbyists Handling Harassment? Author johnbrandtPublished on May 2, 2018 May 2, 2018 Leave a comment on How Are Women Lobbyists Handling Harassment? The following post is courtesy of The Graduate School of Political Management's thought leadership initiative with the Public Affairs Council. For Adama Iwu, the breaking point came at a work-related event outside the State Capitol in Sacramento early last year. At the gathering, Iwu, the Western states’ government affairs manager for Visa, was groped by a man, an industry peer, in the presence of professional colleagues — and the men in the room did nothing to stop the assault. They said they figured she knew the man. Even if she had met him before, Iwu says, “that doesn’t mean when I spent three minutes pushing him off me that I didn’t want someone to step in and say, ‘She said, ‘no,’ stop.” What she found especially galling was that the group had just finished talking about the Harvey Weinstein case and what men can do to prevent sexual harassment. Having had enough, Iwu organized more than 150 other women who signed an open letter taking a firm stand against sexual harassment by members of the California Legislature and demanding protection and accountability. They also created a website where other women can post their support. “Each of us,” the letter read, “has endured, or witnessed or worked with women who experienced some form of dehumanizing behavior by men with power in our workplaces.” The signatories included political consultants, past and present lawmakers, Republican and Democratic officials and other lobbyists. Since the Weinstein story broke, two California legislators have resigned their offices, and 18 others from around the country have resigned, announced their retirement or faced some form of reprimand. Six members of Congress have been forced out of office after having been accused of sexual harassment. And Iwu ended up on Time’s Dec. 18 “Person of the Year” cover. On Capitol Hill, staffers may be getting some protection if a bill that passed the House on Feb 6 can get through the Senate in some form. The Hill reports that the bill would “streamline the process available to Capitol Hill staffers to report harassment, provide additional resources for people filing complaints and establish transparency requirements for taxpayer-funded settlements to resolve cases.” It would also require the members of Congress accused of harassment, rather than tax payers, to pay for settling these cases. But what’s not clear is if lobbyists and other non-government employees will be protected. Jean Cantrell, head of government relations for Philips Lighting, says some of her peers rely on “work-arounds,” in which a female lobbyist always brings another woman when she meets with a legislator at a hotel restaurant, for example. But this “buddy system” means any such assignment requires two lobbyists when it should call for only one. If the lobbyists are billing by the hour, the meeting costs twice what it ordinarily would. Plus, some lobbyists have experienced harassment from clients, which can also make the situation challenging. In such cases, they might complain to the client’s HR department, but they do so at great risk to their relationships with the client’s company. And there’s no guarantee they will derive any satisfaction from such a complaint. It is a rare lobbyist, of course, who wants to jeopardize her career — which depends on maintaining relationships with lawmakers — by going public with her accusations, much less sue her own employer. She can go to the press, “which eats this stuff up,” says Bartz. In their letter, Iwu and her colleagues managed to generate great media coverage for their position without naming names of legislators. As a result of their letter, the California State Legislature has begun hearings on the issue, and the Subcommittee on Sexual Harassment Prevention and Response, described by Iwu as “dormant for years” is meeting regularly again. Meanwhile, a growing number of states have taken action too, passing or stiffening sexual-harassment rules, investigating claims and punishing lawmakers who prey on lobbyists. In Oregon and Washington, the action was a response to letters like Iwu’s signed by some 300 women. In Illinois, where more than 160 women signed a letter of their own, lawmakers are now required to attend a sexual harassment seminar. The legislative state inspector has also been empowered to investigate 27 ethics complaints against lawmakers. That’s certainly progress. But the reaction in Illinois provides proof that much educational work remains to be done. That’s because the Illinois legislature has also taken a position that critics say is misguided — because it is designed primarily to prevent harassment by lobbyists, not harassment of them, Senate Bill 402 establishes a $5,000 fine for violations and requires lobbyists to take a sexual harassment training course within 30 days of their registration or renewal; they also have to have a written sexual harassment policy of their own, or their company’s. Published on May 2, 2018 May 2, 2018 Categories Advocacy, Communications, PoliticsTags #metoo, advocacy, public affairs, sexual assaultLeave a comment on How Are Women Lobbyists Handling Harassment? The Graduate School of Political Management is always looking for the latest and greatest tools, techniques, and strategies for success in the fields of politics, communications, and advocacy. One key source of information is our Board of Advisors, senior leaders in their fields that have taken the time to provide strategic guidance and insights to our school and its students. We asked our Blue Co-Chair Robert Hoopes, President of VOX Global and General Manager of FleishmanHillard's DC office, and Red Co-Chair Leigh Ann Pusey, Senior Vice President of Corporate Affairs and Communications at Eli Lilly and Company. They told us that the opportunity to work to improve political discourse, as well as engaging with the next generation of political leaders has been an inspiration to them. One of our superstar alums, Dan Sena, Executive Director of the Democratic Congressional Campaign Committee, was recently profiled by Roll Call's Nathan Gonzalez, another one of our superstar alums. Sena is the first Latino to direct a campaign committee, and has been working on campaigns since his days as a student. Read the entire profile at Roll Call. We’ve reached a seminal moment in how advocacy is done. Following the awful events at Stoneman Douglas High School in Florida, a garrison of outraged and determined students have used their phones and personal passion to do what scores of elected officials, professional activists, interest groups and community organizations couldn’t: Force cultural change on guns – and in less than three weeks’ time. These students don’t have a paid campaign manager. There’s no donor strategy. No one is canvassing or thinking about microtargeting. They are doing something simpler and more organic: Speaking from the heart, using Facebook, Snapchat and Twitter to connect with millions of people who share their sadness and frustration, shifting the conversation and creating an imperative for change. Read the full post on the Public Affairs Council website. The Graduate School of Political Management's social media monitoring research initiative, the PEORIA Project, released three new pieces on the impact twitter is having on politics and communications. The first, published in the Washington Post, detailed rise and continued strength of the #MeToo movement. Researchers found that while #MeToo had been an activist hashtag on social media for some time, it exploded after the Harvey Weinstein sexual harassment news. The reach and volume, in effect how many people saw the hashtag and how often they saw it, grew at least in part because well-known public figures were sharing their stories of harassment for the first time. Read more at the Washington Post. Secondly, the PEORIA Project released its first quarterly report. Among the many findings, lead researcher Dr. Michael Cohen found that Congressional incumbents in close races should try their best to stay out of Twitter's glare. Two of the top mentions on political twitter in this category, Sen. Jeff Flake (R-CA) and Rep. Darrel Issa (R-CA), have already announced that they will not seek reelection to their seats in November. Read the full report on our website. Lastly, the project also published its most recent ECHO report. In it, Cohen found that in the battle over who deserves blame over the government shutdown that started last week, Twitter found President Donald Trump more at fault than Senate Minority Leader Chuck Schumer. Read the full report at US News. As we get closer to the election, we expect to find more insights into the ways in which social media shapes and amplifies political messages, and the PEORIA Project will bring them to you. Be sure to subscribe to our PEORIA Project newsletter here. Visit the Graduate School of Political Management homepage.